Mom, Dad and the star! 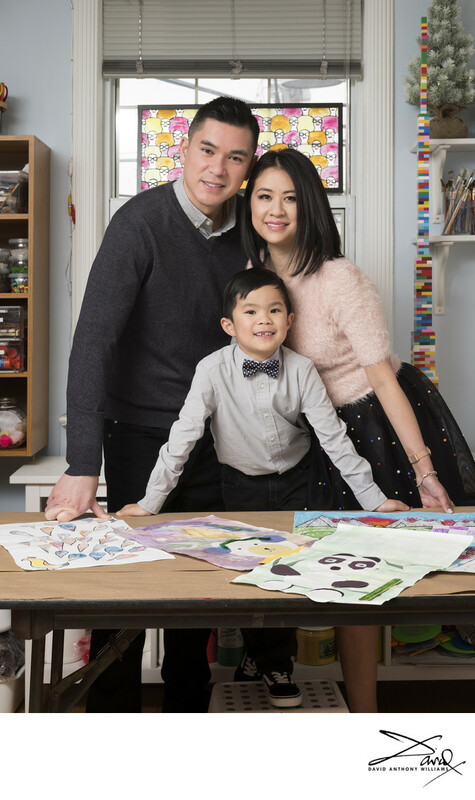 Photographed in the kids art studio run by Mom, the family comes together for a close portrait. All too often one or the other parent is missing from a family image – because they are the one taking it. Here, the portrait is made where the son is making some fantastic art. Posed around a work table, everyone can lean in towards our ‘star artist’ to create a warm and connected environmental portrait that says something about you. 1/60; f/5.6; ISO 640; 35.0 mm.